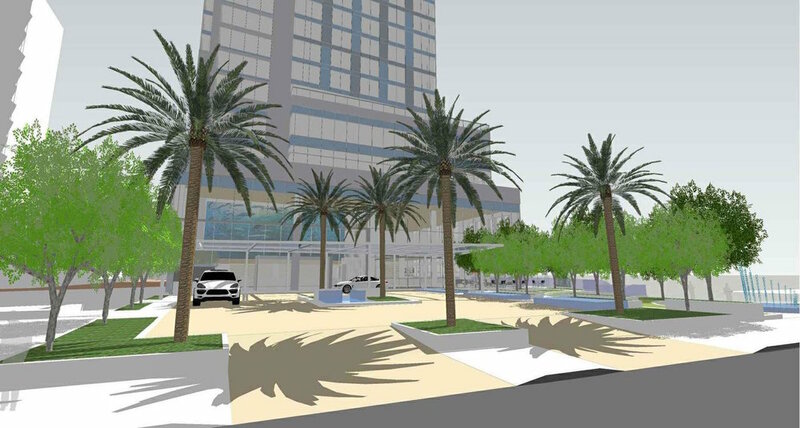 In this competition for a 26 story hotel tower at Ocean Blvd. 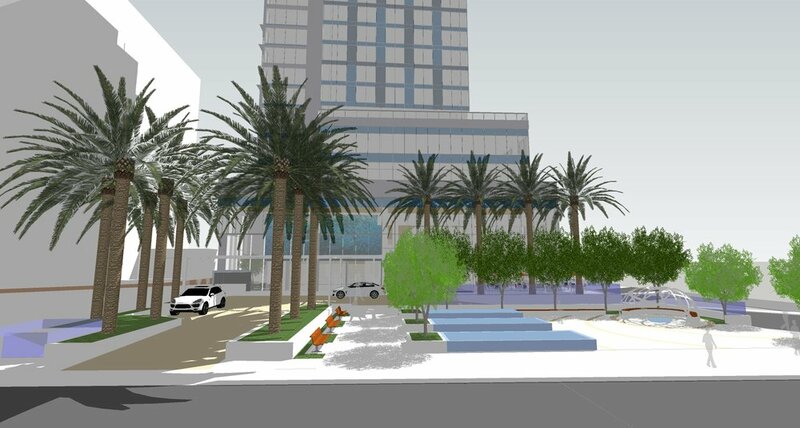 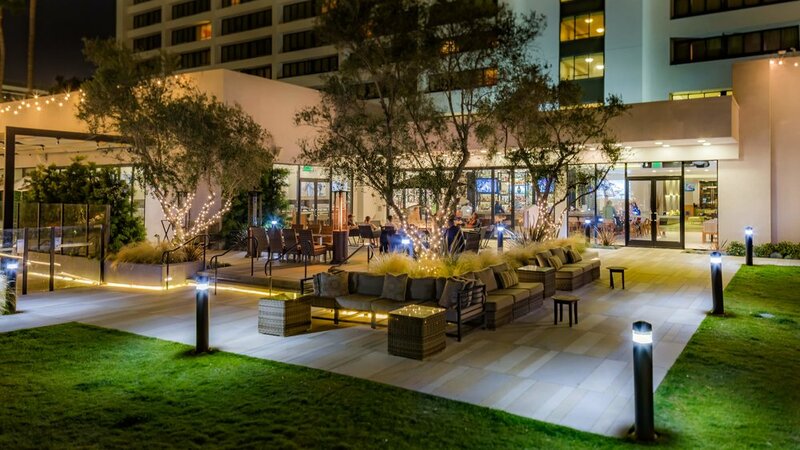 & Pine Ave., in the heart of coastal downtown Long Beach, we provided a diagrammatic and analytical space planning approach to address specifc site issues, governed by strict regulatory and city development standards. 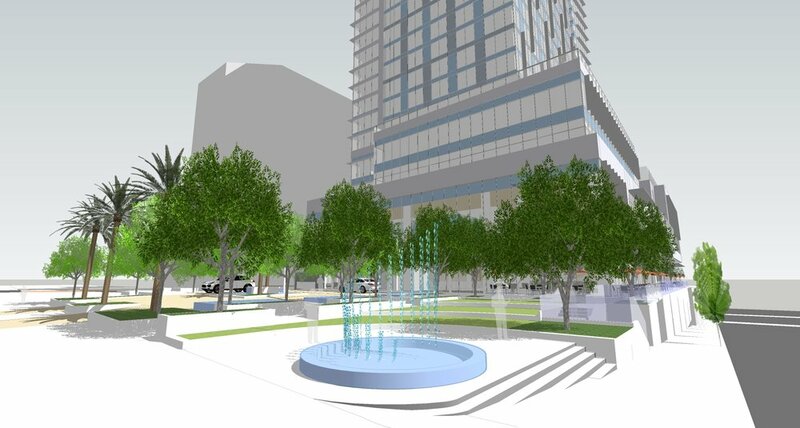 The study of valet & public pedestrian circulation, public use of a dedicated park space easement, and repurposing of historic Jergins Tunnel underneath Ocean Ave, prompted 3 design solutions. 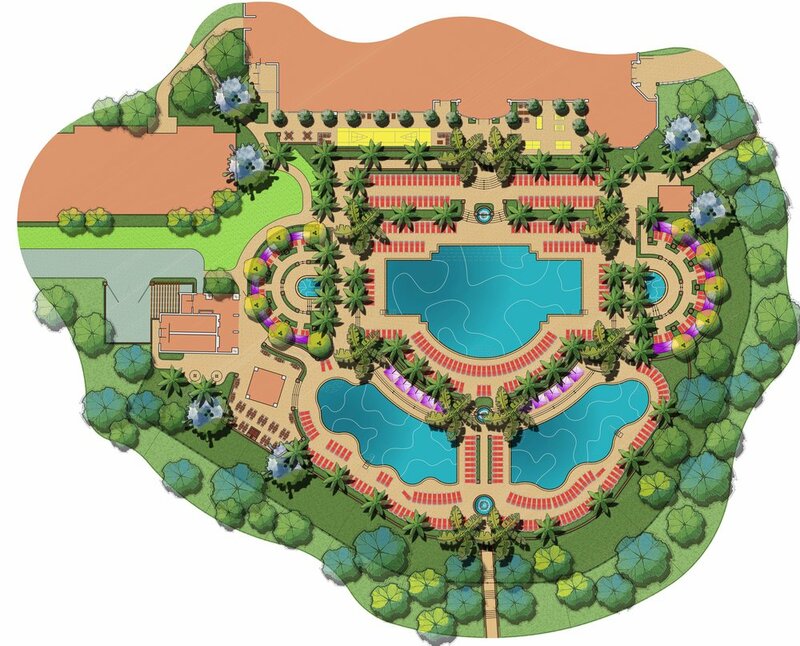 Pros and cons of each solution yielded a preferred design that includes amenities like an expanded covered porte-cochère, ‘circular’ vehicular drive, water features, and public park/plaza space set in a structured landscape setting.